Dal Makhani Restaurant Style Recipe | Smoke Recipe : Helloo Guys!! Today I m very excited because…… Today I am going to share a recipe which is close to my heart and my most favourite. 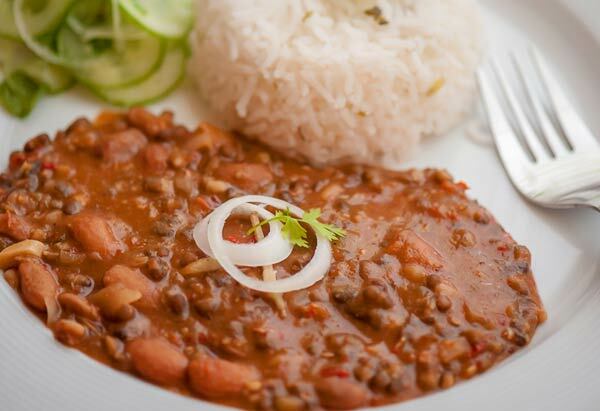 Dal Makhani, one of the most popular cuisines in North India and served in almost every party in India. It is the combination of whole black lentil and red kidney Bean i.e. Rajma and of course Makhhan (white butter) or cream. Rice and naan gives best compliment to dish. Trust me guys, naan and daal makhni is the one thing that I crave for. Whether I go to a party or a restaurant, this is my fixed menu and no one can change this. Even my friends and family get fed up with me and ask me to try something new, but as I told you no one can change my love towards dal makhani. But the most important thing about dal makhani, is that it needs Perfection. Did you ever notice, if we go to restaurants or dhabhas at night and order this cuisine, it tastes better than it tastes in morning? The more you simmer it on low flame, the tastier it will turn. But do you know that dal makhani dhaba style and dal makhani restaurant style are quite different in taste and flavour. There is a huge difference between their way of making and ingredients. And today we will make Dal Makhani Restaurant Style. For this, we will use a special ingredient – charcoal. Yes charcoal, as it gives a rustic flavour to dal. It is also known as Charcoal Smoking Technique or Dhungar Method. It is a technique of imparting a smoky flavour to a dish. The recipe is quite time taking but when you are getting a restaurant style recipe at home, who will not spend some time on it. People used to ask me is there something that they can use in place of garlic while preparing dal makhani. The answer is yes, they can add a generous pinch of asafoetida (hing). I personally do not add garlic in any of my recipes but as the majority of people do use garlic, for their recommendation I prepare the dishes their way. But if you don’t want to add it then don’t as it does not make much difference. Also check easy Indian Dal Recipes. So let’s start with the best dal makhani recipe. I will name ingredients in categories, so that you will not get confused and can understand easily. Soak black lentils and rajma together overnight. Also add ½ tsp of baking soda. Rinse them in the running water with help of strainer in the morning. Take a pressure cooker and add soaked lentils and beans in cooker. Pour 3 cup or enough water in it. Pressure cooks them for about 20-30 minutes (16-18 whistles) on high flame, till the beans gets softened. If the beans are still hard, then pressure cook for 2-3 whistles more. Add water if required. On the other hand, wash tomatoes, green chilli and onion. Now finely chop the onion and green chilli. Make sure to chop finely. Make thick paste of ginger and garlic. Cut the tomatoes in roughly. Take a blender and add roughly chopped tomatoes to it. Blend it to a smooth puree. Make sure to avoid lumps. Take a non-stick pan. Add 2 tbsp makkhan (butter) to it. Turn the flame on and let it heat. Now add cumin seeds (jeera) and allow them to sizzle. Now add all the khada masalas i.e. 3-4 cloves (laung), 3 green cardamom(ellaychi) , 1 black cardamom (kali ellaychi) , 1 bay leaf (tej patta) and 1 inch cinnamon(dalchini). Allow them to sizzle and sauté till it leaves nice aroma. Now add finely chopped onion to the pan and sauté till it turns golden in color. Add ginger garlic paste and green chili to the pan. Simmer it again for 4-5 minutes. Pour tomato puree into the pan and mix well. It’s the time to add spices – 1/2 teaspoon of red chili powder and 1/2 tsp of garam masala Mix well. Simmer it on medium flame till the butter separates. Add cooked lentils and beans to the pan and required water. Mix thoroughly and add salt (to taste). Mix well and let it simmer. Stir occasionally and avoid lumps. It will take approx half an hour. At last add 1/3 cup cream. Take dried fenugreek leaves (kasuri methi) on your hand and rub between your palms. Sprinkle on Dal makhani. Add some water if the mixture is too thick. Now if you want to serve dal makhni like this, you can. But if you want to make it more tasty follow dhungar method. Take a small piece of charcoal and put it on the gas stove. Turn the flame on and heat it till it becomes red hot. Turn the charcoal with the help of tong. Now put the hot charcoal in a small steel bowl. Drizzle 1/3 tsp of oil on charcoal and it will begin to smoke. Now immediately but carefully place the bowl on the top of daal makhni. Don’t let the bowl immersed in dal makhani. This technique does make the difference to the overall flavour of the dish adds an authentic flavor. Now cover the lid for 2-3 minutes and let the dal infuse the smoke. Now our authentic delicious Dal Makhani Restaurant Style is ready. Garnish with some more fresh cream and serve hot with rice, naan, chapatti or parathas. While serving remove all the kadha masla. Also check kadhayi paneer recipe. Simmer dal makhni uncovered on low flame. Cover the lid tightly while doing charcoal technique. Use only natural lump charcoal for dhungar method. If you are going to add asafoetida instead of garlic, then add asafoetida immediately after adding cumin seeds. Do not mash lentils and beans as they have been already cooked for long time. Use fresh beans, lentils and cream. There is no need to blanch the tomatoes. Use makhhan for tadka, if you want exact flavour. You can also use homemade malai instead of cream.